Darkside provides window security film that holds glass together in the event of an earthquake or accident. Window security film protects you and your family by significantly reducing the chance of injury due to flying or falling glass. Storms, earthquakes, explosions, accidents, vandalism, terrorist bombings – natural and man-made disasters can unleash a hail of destructive, and sometimes deadly, flying glass shards. Our security film is specially structured and strengthened with a patented mounting adhesive. This adhesive works with the film to form a tough, protective shield that provides exceptional resistance to impact and explosive pressure, resulting in added durability and reduction of airborne shards. 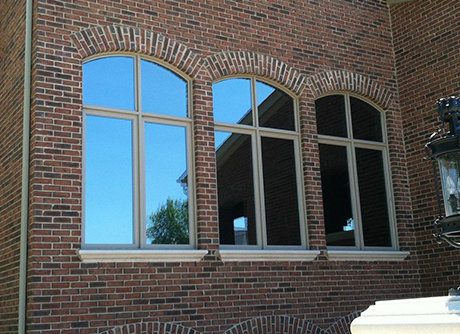 Our window security film is available in several thicknesses and comes in clear or tinted.